Will DOE’s Water Energy Push Pay Off? 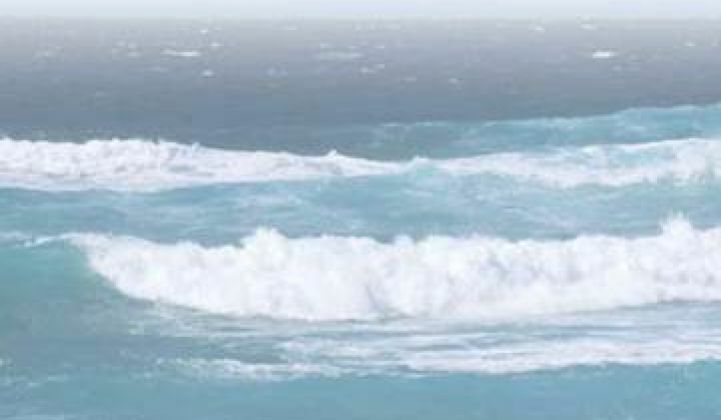 New assessments of U.S. wave energy and tidal current energy potentials just released mark a milepost in the progress toward these resources’ development. The big takeaway from the authoritative assessments, noted U.S. Department of Energy Wind and Water Power Program Manager Jose Zayas, is the sheer richness of the resources. 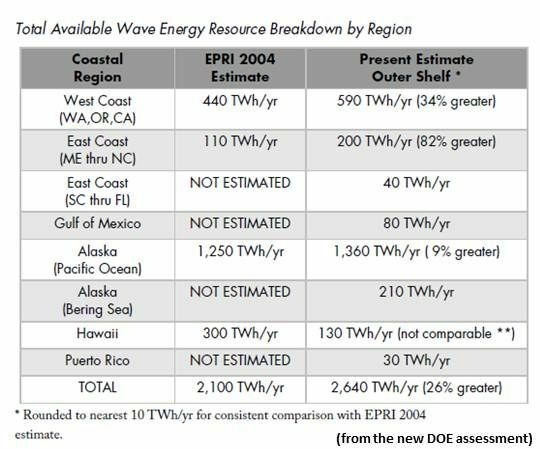 Wave energy across the U.S., the assessment found, has a potential equivalent to approximately 400 gigawatts of capacity. “That is significant potential,” Zayas said. And, he added, “It is really diverse. 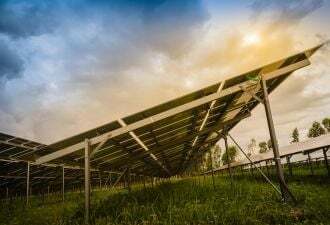 It is almost everywhere.” That means “you can really get close to people and generate electricity mitigating the challenges of building transmission lines,” he explained. DOE divides its Water Power program into two categories, Zayas explained. Under Marine Hydrokinetics (MHK), it works with wave energy, tidal current energy, ocean current energy and ocean thermal energy. Conventional hydropower includes traditional hydroelectric dams, pumped storage, small hydropower projects of 30 megawatts or less, and non-powered dams. Within the broad Water Power portfolio, Zayas pointed out, is the most mature of all the renewable energy technologies (conventional hydropower), as well as technologies still emerging (the MHKs) and one technology (pumped hydro storage) that may eventually play an important role in the grid integration of other renewables. It is a portfolio purposely constructed to be broad and inclusive so as to avoid “picking winners and losers,” Zayas said, while at the same time accelerating the emergence of technologies that can harvest the resources identified in the new assessments. An example of what the DOE has accomplished is Verdant Power’s tidal energy project in the East Channel of New York City’s East River. The Federal Energy Regulatory Commission (FERC) just approved its pilot project license “for up to 10 years of testing for 30 machines,” Zayas said. DOE funded work with Verdant’s technology at the National Renewable Energy Laboratory and Sandia National Laboratory. Drawing on experience gained in wind technology, they developed a new system and a new rotor ready to take on the harshness of the river environment. “Verdant’s initial blades were made out of an alloy,” Zayas said, “and now they’re going to be made out of composites” similar to wind turbine blades. 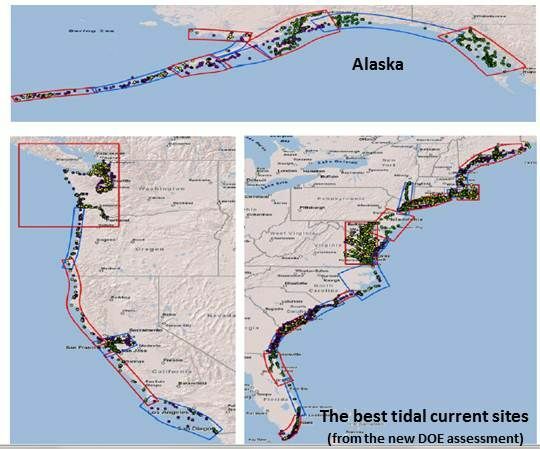 DOE is also fully engaged in ongoing cooperation with regulatory, permitting and siting agencies such as FERC, the National Oceanic and Atmospheric Administration (NOAA) and the Department of the Interior (DOI), Zayas said, “to get ahead of the curve” on market deployment for its innovative water power technologies. In addition, there is ongoing engagement with the environmental community and environmental regulators, Zayas said. “It is our intent to be an environmental steward and not have a negative effect” on marine life and habitat. The department’s investments are made, Zayas explained, through the standard appropriations process and through openly issued, competitive solicitations, called funding opportunities. Research labs, educational institutions and businesses with expertise apply for them. A broad review process follows, designed to be rigorous and to eliminate conflicts of interest.